Kemaul .M. 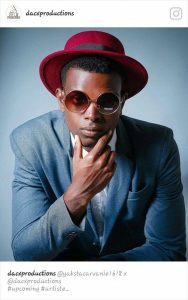 Martin, professionally known as Yaksta Carvanie is an upcoming dancehall/Fusion & Cultural recording artist and songwriter that was born on October, 17th, 1993 in the parish of St. Mary Jamaica to parents miss Derma-lee Hyde and Mr. Michael Martin. His early childhood was categorized by poor living conditions. His mother was a household helper and his father was absent most if not all of the time. He was raised by his mother with two elder sister and three cousins in a dilapidated house that left them wet, after a shower of rain. Even though he was poor, His mother still did her best to fend for them without the help of the fatherly support. Yaksta attended the Iona High school from 2006-2011. His years in high school were very rough, not only financially but emotionally as well. Especially when the absence of his father stared to take a toll on him as an adolescent, Music however had always been an escape. And he would find solace in his song writing from then and years to come. His mother would often chastise him about his music as he would stay up long nights writing songs and the dedication and time spent on music was not given to his school work. He later then learn the repercussion of this as he graduated from high school passing only five of eight CSEC subjects and failing the most important two, Mathematics and English. Notwithstanding he managed to get a job as a Beach Butler at the Bamboo Beach Club shortly after leaving High school. His music was put at the back burner at that time as his focused was now on bring in income. However his boss at the time was a dishonest man and for weeks which led to months, stopped paying his staff. He had to leave searching for a new job ventures. Shortly after, he decided along with his eldest sister, to enter the clothes selling business. This became very profitable for them over time which gain large customer base. He would walk miles from port Maria to other districts supplying my customer’s demands even as for as Kingston. Even though it was a tedious job, he loved.